Proprietary Name: Conju Princess Moisture What is the Proprietary Name? 72950 - Conju Korea Inc.
Conju Princess Moisture with NDC 72950-050 is a a human over the counter drug product labeled by Conju Korea Inc.. The generic name of Conju Princess Moisture is dimethicone. The product's dosage form is gel and is administered via topical form. 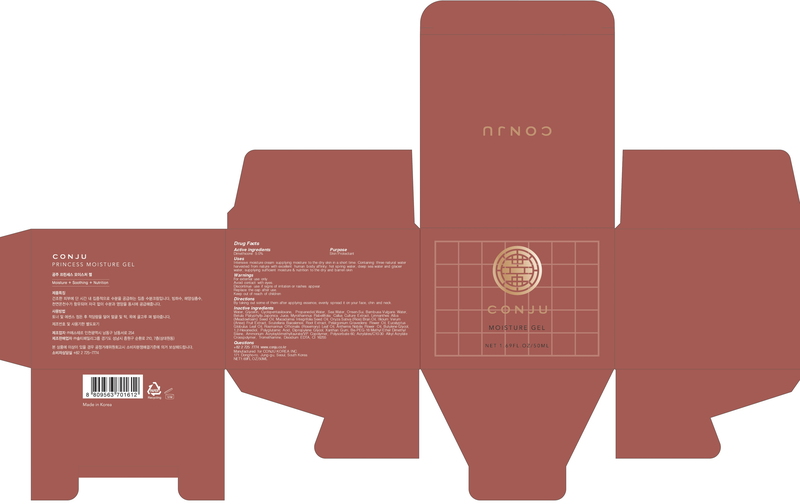 Labeler Name: Conju Korea Inc. Directions:By taking out some of them after applying essence, evenly spread it on your face, chin and neck.